Welcome to our news for January. We welcomed supporters from RTU-UK led by UK Co-ordinator, Mo Houlden, including representatives from Wells Rotary Club. The week-long visit combined first-hand experience of our work and time spent with their sponsored children. We also entertained another two groups - a Traidcraft Group from the UK and a group from Enfants de L'Univers from France. It is always heart-warming when our overseas visitors join us to show their concern. It also provides us with a great opportunity to showcase the work we do here at RTU, none of which would be possible without your ever-generous dedication and support. Our new Rotary Hostel for boys was formally opened by Rotarians, Sharon Haigh, Roger Vincent and Alan Webb. About 50 boys from 9th standard will live in the hostel and attend our secondary school. 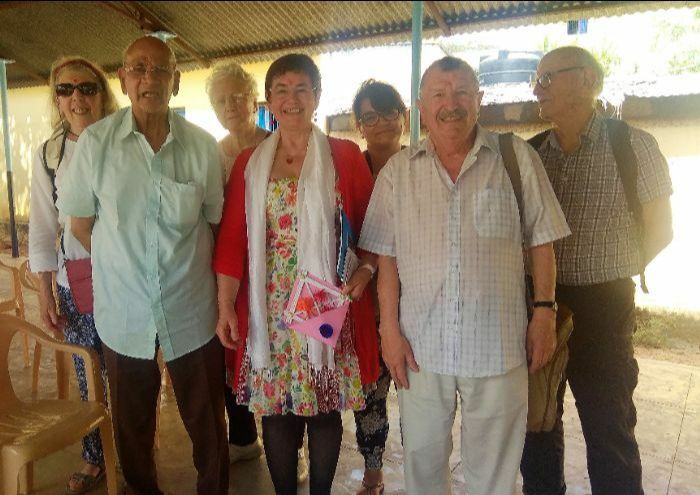 We are grateful to Dr Balda Jochimczyk, Germany, Yoga Vereinigung Rajagopalan eV Germany, the UK Rotary Club of Wells, the Rotary Club of Tynedale, St Cuthbert’s Church and Ss Joseph & Teresa Church in Wells, for their generous support. 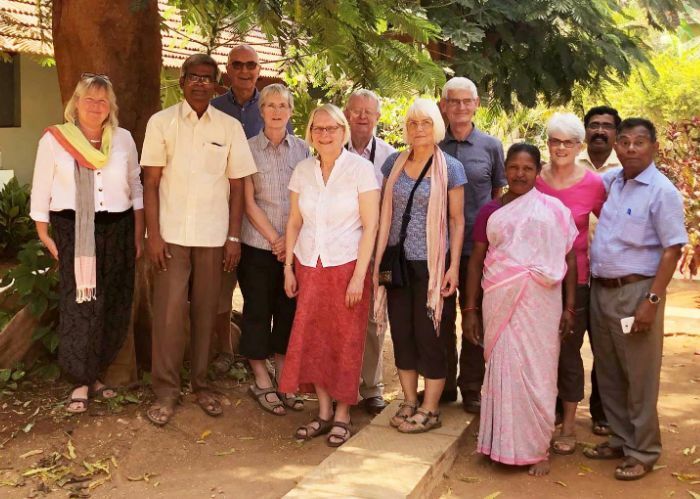 Our UK visitors took part in our Pongal (Tamil harvest festival) celebrations. These included a grand get-together on 14th January at our main school campus where the customary Pongal ingredients were in much evidence: sugar cane, turmeric, flowers, fruits, vegetables; beautiful Kolam drawings using rice flour and chalk powder; the Kummi folk dance; and classical and traditional dances and verses. Our schools then closed for three days of Pongal, enabling our children to join in the other Festival celebrations. These included sports events and competitions. 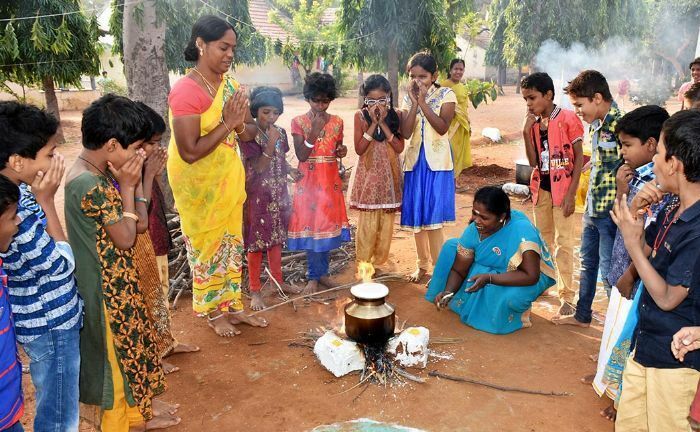 In Anbu Illam Children’s Village, our UK supporters joined our mothers and children in preparing delicious Pongal rice over lit firewood, stirring the contents until the mixture was just about to boil over! This sweet rice was much enjoyed by the children. On 12th January, the Claudine School of Nursing in our local town of Batlagundu, held a graduation and lamp lighting ceremony for its students. Ten were from RTU. One RTU nursing graduate, Kalishwari, received the Best Scholar Award, a wonderful tribute to both the winner and our work. Our director, Fr Antony Paulsamy, and RTU staff attended. You can find out more about how we support our children through college here. Charulatha (5) and Shalini (7) are sisters. They came to RTU last year when their father died, and their mother deserted them. At first, care passed to two elderly grandparents who lived on a coconut estate, with no school nearby. One of the girls’ relatives, who works in our Sirumalar Children’s Village, asked us to provide a secure, loving home. When the girls joined us at RTU both were anaemic and had acute mouth ulcers. Neither could talk freely, communicate with others, or even smile. After 10 months of tender loving care by our foster mothers both have made good progress and are enjoying their new life here. We have also have been able to fulfil the girls’ educational needs. 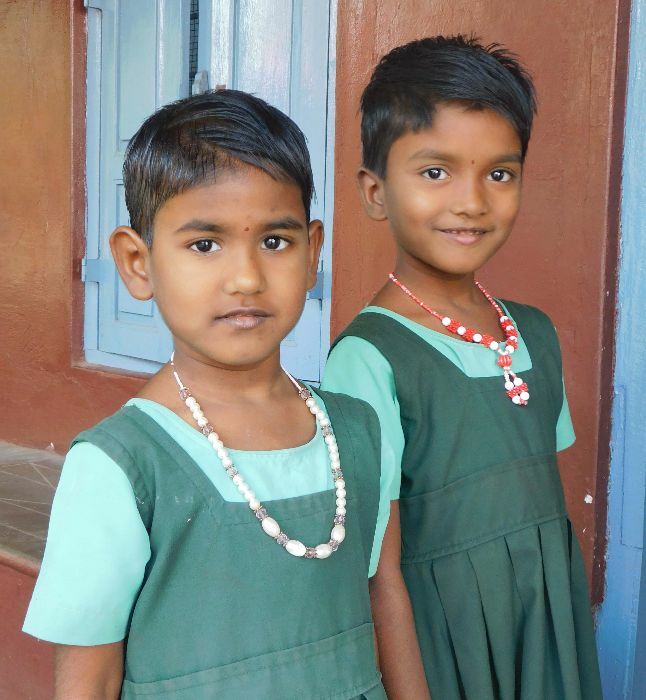 Shalini is in 2nd standard and Charulatha in 3rd standard at RTU’s St Peter’s Primary School. - all else essential to provide a better future. This year there will be ever greater calls for our help and support for those without the basics of life. However, by reflecting on 2018 and the beautiful moments your support have made possible, we regard the months ahead with renewed enthusiasm, knowing this journey is a partnership between us here at RTU, and each of our wonderful supporters. We hope 2019 will bring you much happiness and success in all your endeavours, and that you will be blessed with prosperity and joy. We thank you sincerely for continuing to keep our children in your loving and tender hearts.